We stock a variety of ready-made wreaths and floral tributes which are modestly priced. 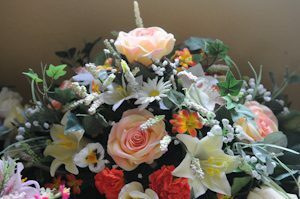 We also arrange for fresh flower wreaths and floral tributes to be made by hand locally and they come in a range of colours and styles. Please ask to view the range available.